Almost 7 years ago, while going through some personal issues, I made a terrible mistake and ended up being convicted of driving under the influence (DUI) in the State of California. It was a dark period in my life, but I have moved on and learned my lesson. This spring, however, my intoxicated driving conviction came back to haunt me. Our process automation consulting firm had recently landed a major contract with a Canadian auto parts manufacturer, and my boss decided that several of us were going to make a trip north of the border to get the project started. At first, I was excited about the “work vacation” as I had never been to Ontario before and had heard that it was great in the summer. A few days later, however, my wife mentioned that her brother-in-law had been denied entry to Canada before because an old DWI he had. I immediately took out my phone and Googled “can I go to Canada with a DUI” only to start panicking when I learned that drunk driving was a potentially excludable offense under Canadian immigration law. Although I had been with my firm for years, getting refused at the Canadian border definitely could have gotten me fired, especially with such a major new contract on the line. This was one of the most stressful moments of my life, but it really didn’t have to be. This blog post will describe in detail my experience visiting Canada with a DUI, in hopes of helping educate others who are facing a similar dilemma. Once I learned that I could be denied entry at the Canadian border because of my criminal record, I began reading about how to go to Canada with a DUI. I was relieved to discover that there was a fairly straightforward way to enter Canada with a DUI. Foreign nationals that are criminally inadmissible to Canada can overcome their inadmissibility by obtaining a document called a Canada Temporary Resident Permit (TRP). Issued by Citizenship and Immigration Canada (CIC), which is an official Government agency, a Canada TRP can allow a criminally inadmissible foreigner to enter the country for a limited amount of time provided they have a suitable reason for visiting. A Canada Temporary Resident Permit can be valid for as little as one day, or as long as three years, depending on a person’s circumstances. If an individual wants to become admissible for life, there is also a permanent way to overcome criminal inadmissibility called Canadian Criminal Rehabilitation. You have to wait five years after you complete your entire sentence in order to be eligible for Canada Rehabilitation, however, so I was not yet permitted to apply since it took me a while to fully complete my probation and finish paying my court-imposed fine. The application for a Temporary Resident Permit Canada asks for a significant amount of information related to your criminal history, work history, educational history, as well as details related to your offense and rehabilitation. It even asks about your husband or wife, and you must list all your previous addresses which was rather annoying for someone like me who moves around a lot. To be approved, the CIC official evaluating your Canada TRP application must believe you have been rehabilitated since your criminal activity. If the officer doesn’t think you have cleaned up your act and could consequently pose a danger to the Canadian public, you will very likely be denied DUI entrance permission. I determined I should retain the services of a professional when I realized that a strong Temporary Resident Permit application includes a large amount of supporting documentation. Without documents to support your application, such as court records, it may be difficult for the adjudicating officer to believe your statements or narrative; I truly believe supporting documentation is crucial for success! Finding a Temporary Resident Permit lawyer was not difficult. As I was researching DUI Canada entry online, I noticed the name Clear Access Law kept popping up on the various websites and forums I was reading. 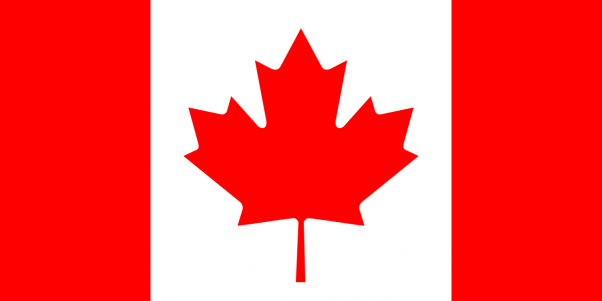 By far the most informative website about going to Canada with a DUI is CanadaDUIEntryLaw.com! Anytime I searched for something related to crossing the Canadian border with a DWI, the Canada DUI Entry Law website was at the top of the search listings. Canada DUI Entry Law is operated by Clear Access Law, and I noticed at the top of the page that the Canadian immigration law firm offers free consultations which was important to me as I didn’t want to pay any money until I was sure a TRP could work in my situation. A quick Google search brought up several positive Clear Access Law reviews, and I was impressed to see that their lead attorney Ilir Orana was an Ivey League graduate (University of Pennsylvania) with a law degree from the most prestigious university in Canada (McGill). It also seemed like Clear Access Law was extremely focused on helping Americans go to Canada with a DUI, as even the law firm’s assistant who answered the phone was very knowledgeable about criminal entry from USA. In the end, I obtained the necessary permission to cross the border with a criminal record in only six weeks, and the process was very stress-free. Documents to support the narrative that I had turned my life around since my drinking and driving offense included proof of having attended a MADD Victim Impact Panel. I am extremely happy about how everything worked out, and I will likely apply for Canadian Rehabilitation in 2017 so that I never have to worry about a border denial again. If you are an American who needs to visit Canada with a DUI, I hope that this blog post has been informative and helpful. As a citizen of the United States, I was angry and upset when I first learned that Canada might not let me cross the border, but I quickly realized this was not a proactive approach to the problem and instead focused my time on learning how to cross the Canadian border with a DWI. By sharing my DUI Canada entry experience, I hope to help educate other US citizens so no one gets denied at the border because of a criminal record.